The video for "The Downeaster 'Alexa'" certainly doesn't romanticize working on the sea. © 1989 Sony BMG Music Entertainment. "The Downeaster 'Alexa'" is at its core a folk song about the plight of Long Island fishermen in the 1980s and 1990s. In the tradition of American folk singers like Woody Guthrie, Peet Seeger, Joan Baez, and Bob Dylan, Billy crafted a song about the working man, here, the Long Island fishermen who are seeing their way of life disappear due to government regulations and the declining number of fish, as well as gentrification of the island. ​ Like Billy's other politically-informed songs such as "Allentown," "Goodnight Saigon," and "Leningrad," the story is told from a very personal perspective. Billy knows the subject. He has consistently been a steadfast supporter and advocate of Long Island fishermen, the Bay Men of Long Island. See video of Billy supporting the group. This is Gordon Lightfoot's "Wreck of the Edmund Fitzgerald" meets Procol Harum's "A Salty Dog" meets Bob Dylan, with an accordion and violin (Billy often plays Procol Harum's "White Shade of Pale"). ​ The references in the song to actual places, nautical and otherwise, such as "Block Island Sound," "Gardiner's Bay," and "Islanders" juxtaposed against more mythical or religious lines ("giants out there in the canyon," "where God only knows," and "I am trawling Atlantis") help convey a sense of a life rooted in gritty realism but controlled by larger forces. Much of the fishermen's fate is beyond their control, but they keep working hard because there are bills to pay and "children who need clothes." Billy has always had a love affair with the sea. Click photo for a Newsday article by Bill Bleyer. Photo: John Cornell/ Newsday. Billy co-produced the recording of the song along with Mick Jones. Dominic Cortese plays accordion (he has played on several Billy Joel songs) and is joined by an uncredited violinist, which gives the song its folksy sound. The uncredited "World Famous Incognito Violinist" turned out be well-known classical violinist Ishtak Perlman. Perlman joined Billy onstage at Madison Square Garden in 2015 to perform the song. See videos page. 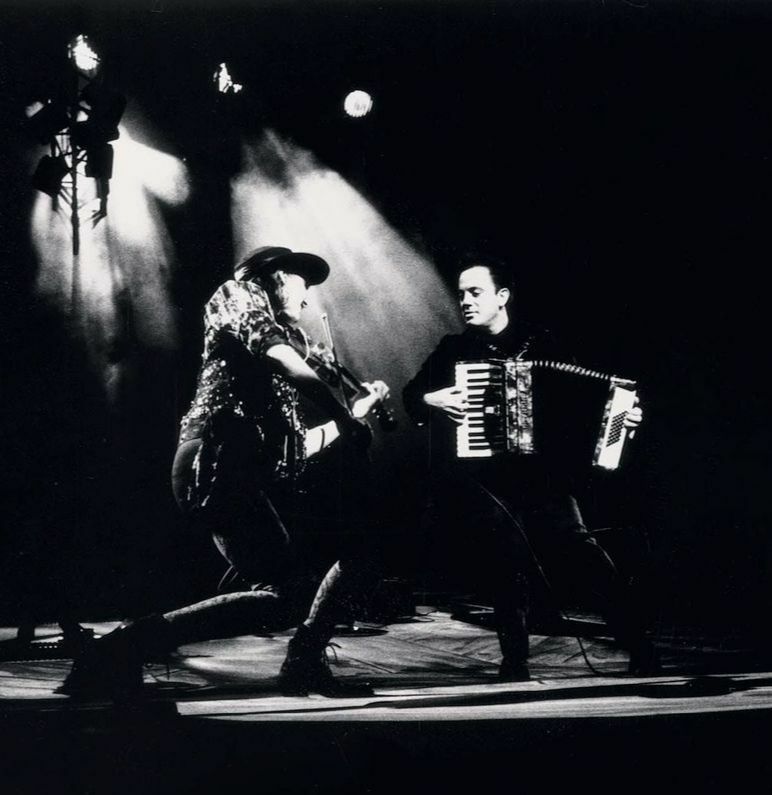 A live version of the song featuring jazz violinist Jean-Luc Ponty was released on Billy's Greatest Hits III DVD in 1997. Ponty does an excellent job (I used to love his albums Open Mind and Individual Choice, especially the song "Modern Times Blues"). See video below. In 1990, Billy and his band also performed the song on the Rosie O'Donnell show and on Saturday Night Live (Season 15, Episode 3 hosted by Kathleen Turner) (see brief promo video here at 0:11). On the SNL performance, the late Mindy Jostyn nailed it with her violin solo and was later asked to go on tour with Billy. You can see some of it in the first video below, starting at 1:28. Jostyn joined the Storm Front tour, though the violinist on the concert video version on Live At Yankee Stadium is Lisa Germano. But you can see Jostyn play live in a Storm Front concert on this video at 41:43. She also plays guitar in the music video for "I Go To Extremes." Jostyn passed away in 2005. The title of the song "The Downeaster Alexa" refers to a type of boat, Downeaster, and the name of Billy's boat, Alexa, which is named after his daughter Alexa Ray Joel. See photo, above right. Released as a single, the song reached #57 on the US charts, but was an even bigger hit in Japan where it reached #6. Billy and Mindy Jostyn (?) perform "The Downeaster 'Alexa'" in a 1990 concert. From BillyJoel.com. Photo: Unknown. Billy Joel discusses "The Downeaster 'Alexa'" on Good Morning America. See Mindy Jostyn at 1:28. Billy is accompanied by the great Jean Luc-Ponty on violin in this live performance of "The Downeaster 'Alexa.'" Billy discusses his connection to Long Island and the bay, and support of the Baymen of Oyster Bay, in this clip from a documentary. See more videos at The Downeaster 'Alexa' - Videos Page. 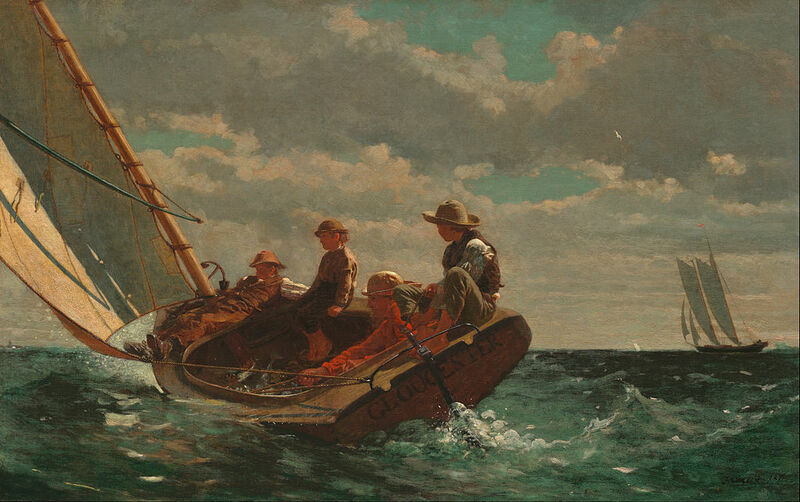 Breezing Up (A Fair Wind) by Winslow Homer.